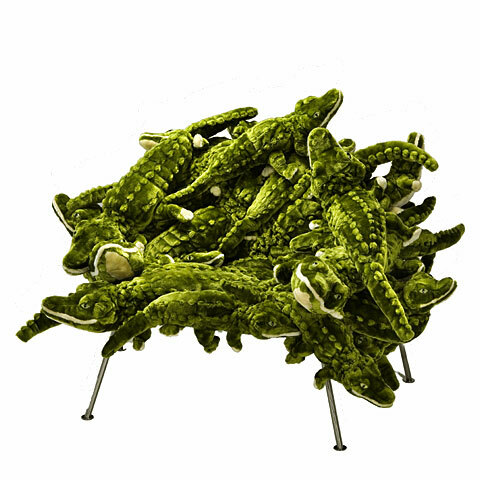 Moss design store, known by many a design reviewer as, "the best design store in the world," has many extraordinary creations by world renowned interior and industrial designers. 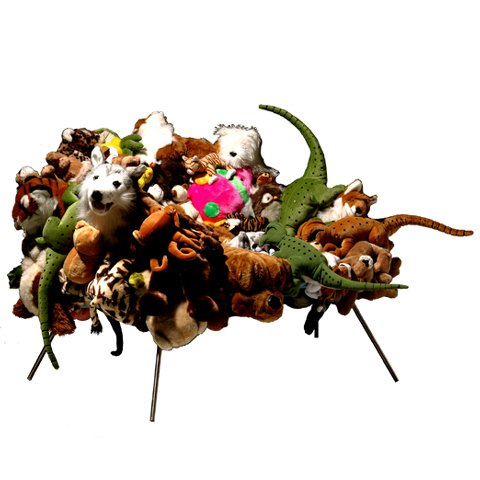 I got caught up in browsing through some chair designs on the Moss website, particularly the stuffed animal chair designs of Brazilian brother design team of Fernando and Humberto Campana. The first animal chair I visited was the Banquete Chair With Alligators. 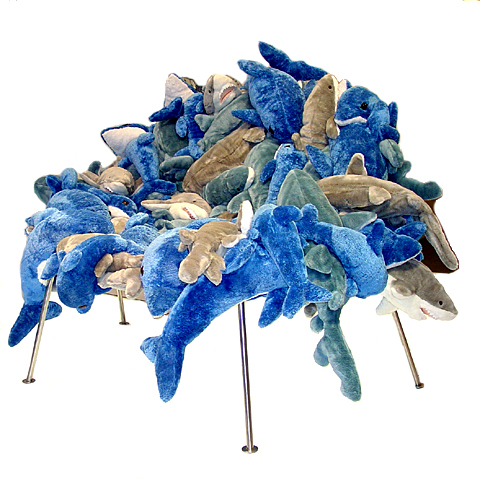 Then I followed the obvious cues on Moss to similar chairs like the Banquete Chair with Sharks and Dolphins. 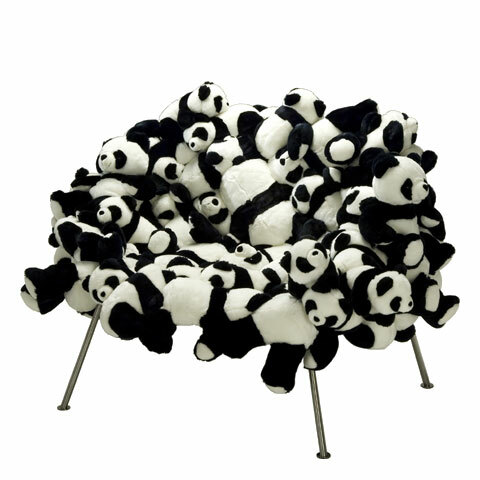 After viewing these "decorative chairs," ones not meant for sitting upon, I was curious about their origin, namely, "Why did these guys design stuffed animal chairs not even made for children to sit on?" When I got to the Campana's website, I was treated to a beautiful graphic poem about the inspiration for these chairs. The graphic features a coin-operated stuffed animal machine. Claws hover over the stuffed animals and choose one stuffed animal at a time, pick it up, and transport it to a place off-screen. The stuffed animals are familiar; they are line drawings of the animals attached to the Banquete Chairs. During the visual, delightful rhythmic music is playing, and there's a script that talks about children always wanting toys, no matter how many they have, and the narrator wonders "What happens to all these toys?" The inspirational multi-media stories about the Campanas' designs are all charming and you learn that the brothers design aim is to create things out of common objects and materials. Now, all their designs become much clearer. Sources: Moss and the Campana Studio websites. Is Apple Working On An iWatch? Yellow Treehouse: Unique Restaurant Pops-Up In A Redwood Tree!